Wine Tasting with Jim Sheehan – NEXT WEEK! Limited Availability Remaining! 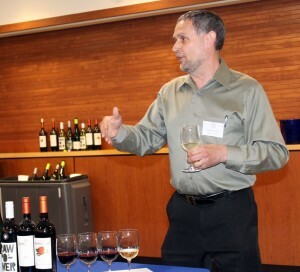 Join us on February 7th for a unique wine tasting experience led by Molloy’s in-house wine expert Mr. Jim Sheehan ’75. Participants will enjoy small bites and sample five to six different wines Italian wines chosen by Jim. You will learn how to evaluate each wine based on appearance, taste, smell, and other defining characteristics. We welcome alumni, current parents, family members and friends (ages 21+) to this special evening. Contact Joe Sommo ’03 with any questions. Badges Night / AMHS vs. CTK – NEXT WEEK! 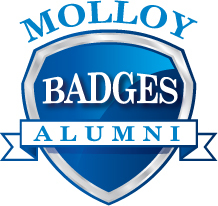 Members of our Molloy Badges Alumni Network and friends are invited to an evening reception beginning at 6:00 PM on February 8th. Cost of admission includes food, soft drinks or adult beverages as well as admission to the Game of the Night in the Jack Curran Gymnasium. Catch the opening tip-off at 7:00PM from VIP seats as Molloy’s boys varsity basketball team faces off against rival Christ the King High School. Register online or contact Joe Sommo ’03 for more information. 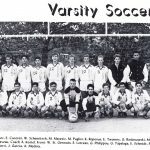 Stanner Hall of Fame Induction Dinner – REGISTER ONLINE! Archbishop Molloy High School is proud to invite you to attend our Stanner Hall of Fame Induction Dinner. Our induction Class of 2019 have exhibited strong moral character, outstanding professional achievement, service to their community, and loyalty to alma mater. The Stanner Hall of Fame Selection Committee has agreed that these individuals embody the values reflected in our motto, “Not for school but for life”. Introducing our Induction Class of 2019: Br. Patrick Hogan, FMS; Chief Peter Hayden ’64 (FDNY); Lt. John “Jack” Gremse ’68 (FDNY); Major General Patrick Gallagher ’64 (USAF); and Whitey Rigsby ’74. 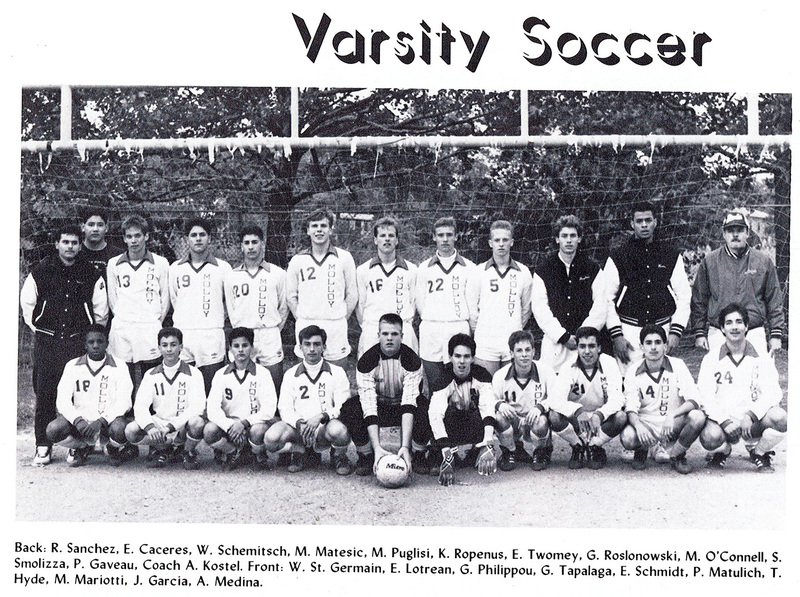 Support our newest Stanner Hall of Fame Class by attending our induction dinner on Saturday, March 23rd. 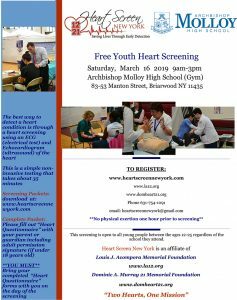 Click the link above to register online. When registering, please note which Hall of Famer you are supporting with your attendance. 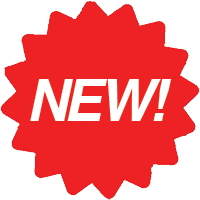 Program notes are listed on our registration page. Contact Alumni Development Officer Matt Rizzotti ’04 at mrizzotti@molloyhs.org or 718.441.9210 for more information. Archbishop Molloy High School is proud to announce its first annual Fashion Show. This event will be the initial fundraiser for Molloy’s Girls’ Leadership Scholarships. The Girls’ Leadership Scholarships will enrich the school community by helping attract the best and brightest female students to our Molloy family. 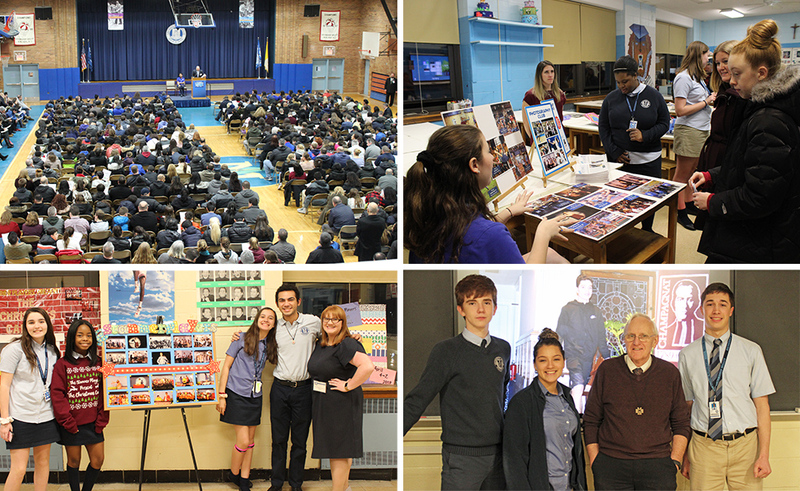 Recipients will benefit from Molloy’s mission to provide its students with Christian values based in the Marist tradition, critical and analytical thinking, and leadership skills that serve all our students “Not for school, but for life”. The Fashion Show will include a DJ, dancing, a full brunch, unlimited champagne, red and white wine for guests 21 and over. Valet parking and coat check are included at no extra cost. There will also be a Silent Auction, Gift Basket Raffles, and a 50/50 drawing. See our registration form (click button above) for ticket prices. 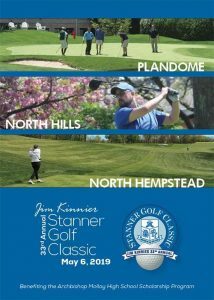 33rd Jim Kinnier Stanner Golf Classic – SIGN UP NOW! Download your printable invitation/reservation form by visiting www.molloyhs.org/golf/ or clicking the image to the right. 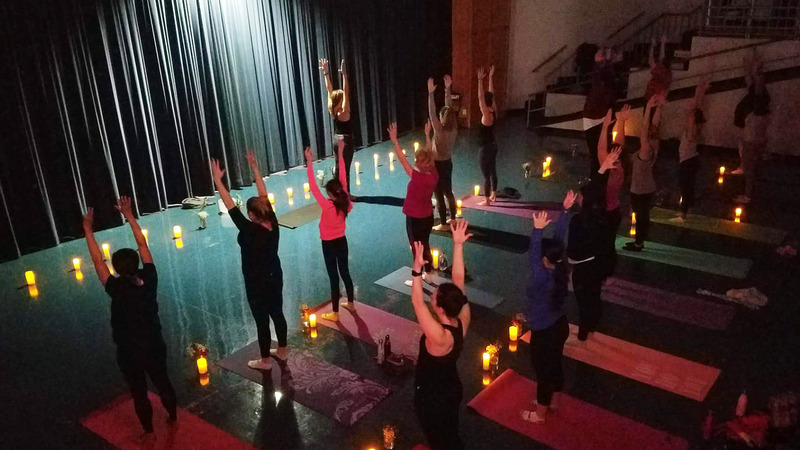 Molloy extends its sincerest thanks to our alumnae and friends who joined us on Saturday, January 26th for our second Alumnae Yoga & Meditation event. 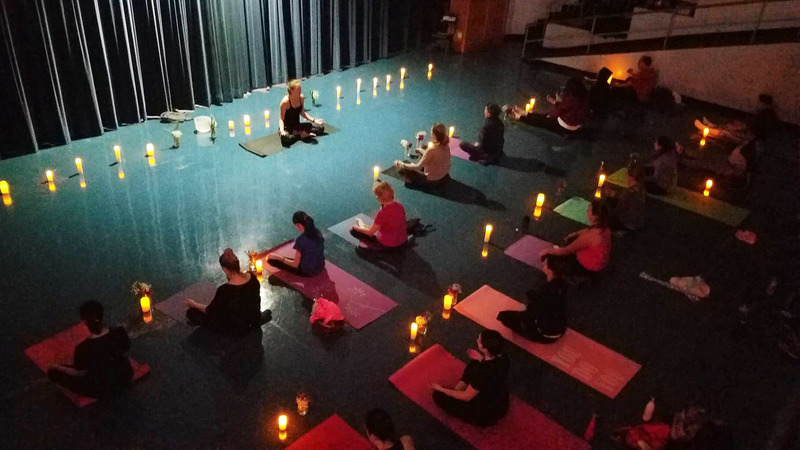 Thank you to Jennifer Kelleher ’04, who transformed the Ralph DeChiaro Theater into a soothing sanctuary for her full-length yoga and meditation class. We also thank Jessica McEntee ’05 and Adele Warren ’05 for assisting with promotion and set up. 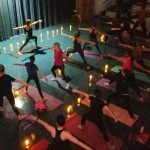 This event was suitable for both yoga newcomers as well as more experienced yoga enthusiasts. 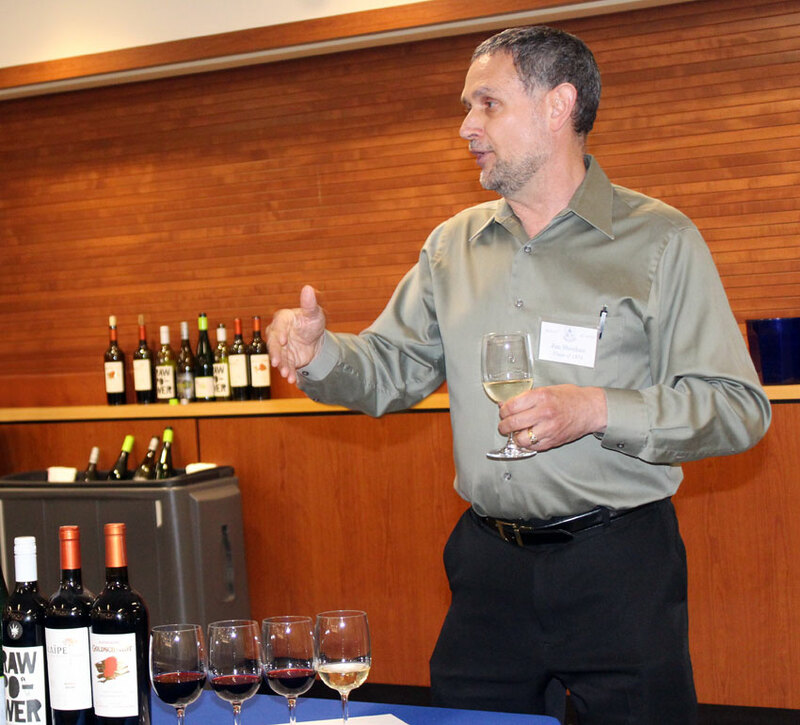 Following the class, all participants were invited to network and enjoy light refreshments in our faculty café. 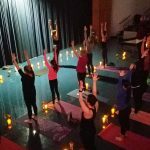 Please help us expand our event offerings for alumnae! Email alumni@molloyhs.org with your feedback. To learn more about Jennifer Kelleher and Body Love by Jen, visit www.bodylovebyjen.com. 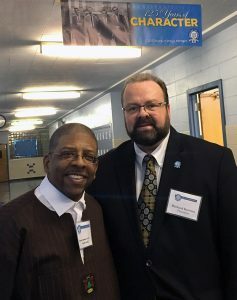 During the Open House, Principal Darius Penikas welcomed a capacity crowd and unveiled some exciting news about our curriculum, including Molloy’s budding partnership with Amazon. This partnership will allow our students to access Amazon Web Service Educate, a program that invites students to take self-paced courses of study that culminate with Amazon certificates in the areas of Cloud Computing, Cybersecurity, and Machine Learning. These certificates are considered when Amazon makes decisions on internships and hiring. Click the following link to read more about these latest developments. A week prior to the Winter Open House, Molloy deployed an innovative personalized acceptance video via email to all accepted eighth graders. Each video is unique, featuring the name of the student to personally congratulate them on their acceptance. The 1 minute 37 second piece is not only an awesome way to welcome new Stanners into the Molloy family, but it can also be shared across numerous social media platforms – helping to create a major buzz about Molloy in New York City. “No other school in our area is using this unique personalized video concept; we are first to market,” said President Richard Karsten ’81. We recently asked the Stanner family to pray for Br. Bob Andrews, who has been recovering after suffering a stroke in late December. While he continues to improve each day, we ask that you continue to keep Br. Bob in your prayers. For those wishing to visit or send a card, Br. Bob now continues his recovery at St. Cabrini Nursing Home located at 115 Broadway, Dobbs Ferry, NY 10522. 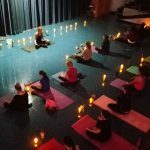 Annual Blood Drive – Save the Date! Congratulations to our Boys Swim Team, who finished in first place overall and were crowned CHSAA Boys Novice Swimming Division I Champions! 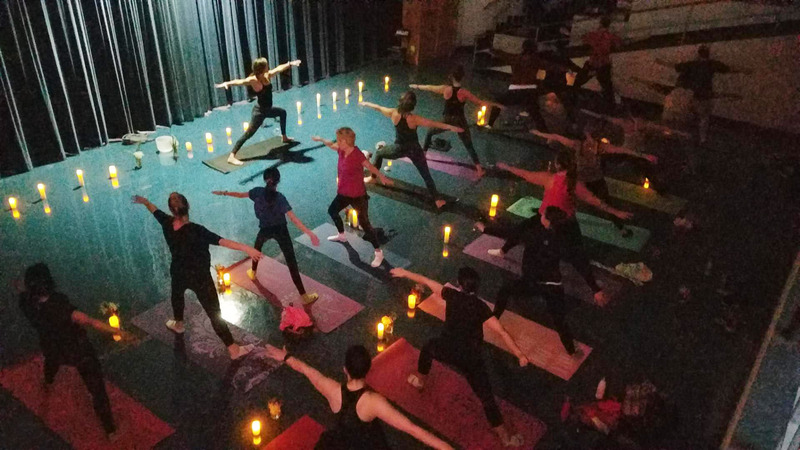 Nicholas Landecho ’18 shared this photo from a recent Marist Encounter at Esopus. Pictured are Stanners Salvatore DiPaola ’16, Danny Jimenez ’16, Nicholas Landecho ’18, Allison Terranova ’14, and Joseph LoGiudice ’06. Dr. Danny Gambino ’81 received the “California Hero Award” from Senator Joel Anderson in October 2018. This award is given to unsung heroes who “rise above the norm and do outstanding work for the community.” Dr. Gambino is the current President of the California Chiropractic Association, the largest non-profit of its kind in the US, representing more than 13,000 Doctors of Chiropractic. 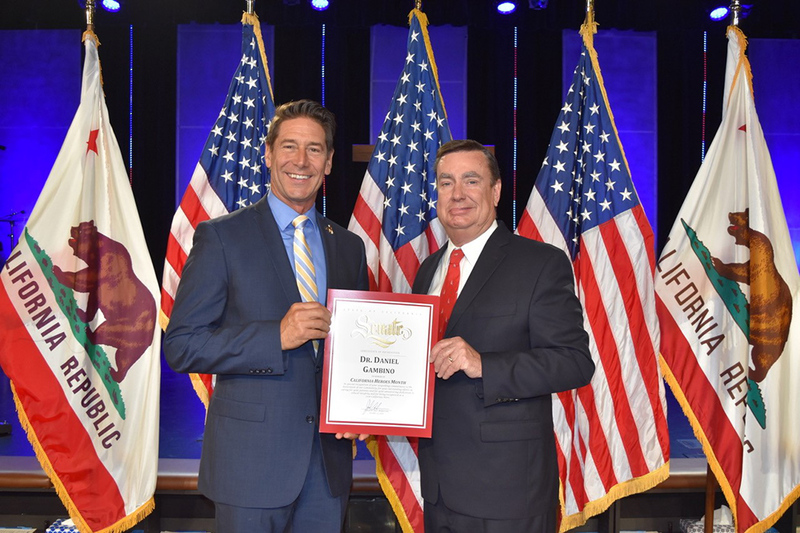 His relentless pursuit of healthcare excellence in California includes being a keynote at chiropractic colleges, founding the largest network of Pre-Chiropractic Clubs in San Diego, and running practices in both San Diego and West Virginia. Said Gambino, “I can directly tie my achievements to the cultivation and education I received at Molloy and the motto ‘Non scholae sed vitae”. Dr. Gambino has received accolades including back to back California Doctor of the Year awards and the Life University (Marietta, GA) Distinguished Alumni Award. 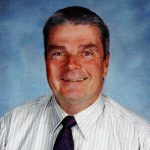 Kevin Browne ’83 (DNP, RN, CCRN) has successfully defended his Doctor of Nursing Practice degree from St. Peter’s University. Kevin’s doctoral focus was on a phenomenon known as “practice drift” among registered nurses. Kevin is a Deputy Chief Nursing Officer at Memorial Sloan Kettering Cancer Center. 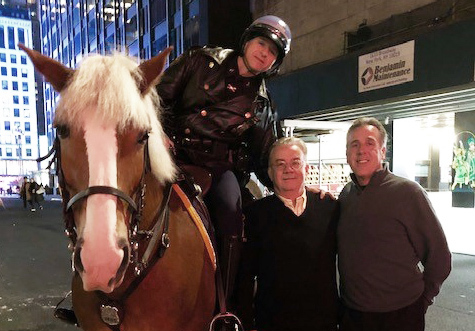 PO Joe Savino ’86 reports more Stanner Sightings while on the beat in midtown. Joe recently bumped into John McGahan ’76 and Robert Diorio ’75. Robert is uncle to one of Joe’s fellow mounted unit officers, Lauren Howard (Diffendale) ’04. A few days later, Joe crossed paths with one of his former colleagues on the force, Lt. Greg Chupa ’84. Archbishop Molloy High School is saddened to share the passing of Stanner Hall of Famer and former Brooklyn D.A. 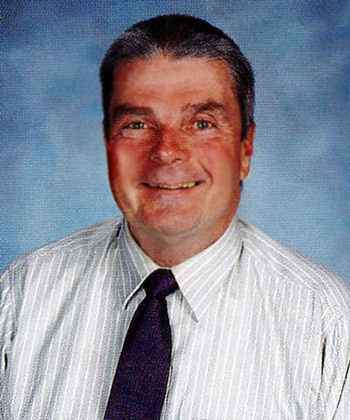 of 24 years Charles J. Hynes, St. Ann’s Academy Class of 1952. He was 83 years old. Hon. 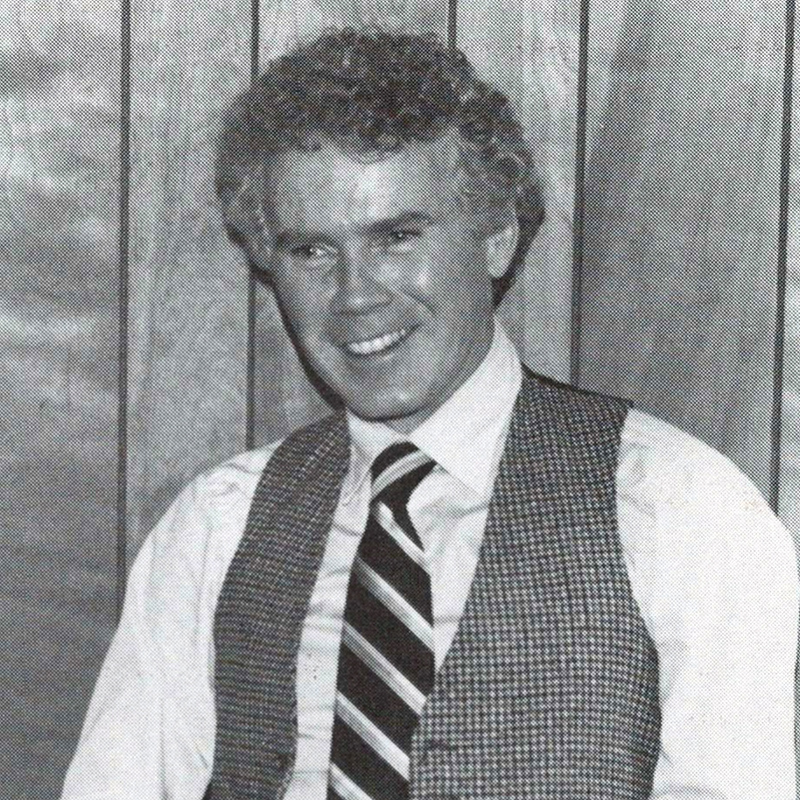 Hynes began his career in public service in 1963 as an associate attorney for the Legal Aid Society. In 1969, he joined the Kings County District Attorney’s Office as an Assistant District Attorney. In 1971, he was named Chief of the Rackets Bureau and in 1973, he was promoted to First Assistant District Attorney. In 1975, Governor Hugh Carey and Attorney General Louis Lefkowitz appointed Hon. Hynes as Special State Prosecutor to investigate nursing home fraud. His State Medicaid Fraud Control Unit became a national model and his Medicaid Fraud Control legislation – which provided federal funding for any state interested in starting a unit – became law in 1978. That same year, District Attorney Hynes was elected the first president of the National Association of Medicaid Fraud Control Units. In 1980, Mayor Edward I. Koch appointed Hon. Hynes as Fire Commissioner of New York City. In 1982, after two years in that post as Fire Commissioner, he left public service for private practice. He returned to public service in 1985 when he was appointed as a Special State Prosecutor for the NYC Criminal Justice System. In 1986, Hon. Hynes was called on to investigate a high-profile murder case in Howard Beach, Queens. Hon. Hynes led the investigation and prosecution, which resulted in three homicide convictions. This case gained him national recognition. After being elected Brooklyn District Attorney in 1989, Hon. 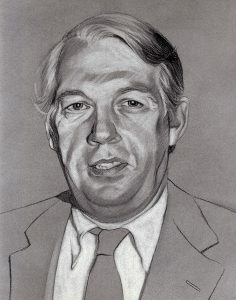 Hynes pioneered innovative criminal justice strategies. 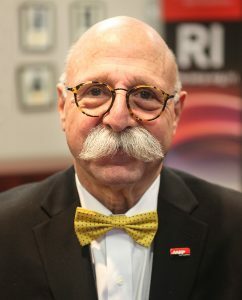 He founded one of the first specialized domestic violence bureaus in the country, one of the first Drug Treatment Alternative-to-Prison programs, and created a Crimes Against Children Bureau to bring expertise to child abuse cases. In 1999, Hon. Hynes created ComALERT, a public safety program that supports individuals on parole as they re-enter their Brooklyn communities. Hon. Hynes was also known to demonstrate his commitment to public service and education by serving as an Adjunct Professor of Trial Advocacy at three New York City Law Schools: St. John’s, Fordham University and Brooklyn Law School. On November 7, 2005, Charles J. Hynes was re-elected to his fifth term as the District Attorney of Kings County (Brooklyn), New York; he was sworn into office on January 10, 2006. This appointment would carry him until 2013, when he lost his bid for a sixth term. Hon. Hynes co-authored Incident at Howard Beach: The Case for Murder and contributed to The Regulation of Nursing Homes: A Case Study. In spring 2007, St. Martin’s Press published Mr. Hynes’ first solo novel, Triple Homicide. Hon. Hynes is survived by his wife, Patricia; their children, Kevin, Patrick, Jeanne Cook and Lisa Kellachan; and 17 grandchildren. Please keep Hon. Hynes and his family in your prayers. We are saddened to share the passing of Joseph P. Walsh Jr. ’51, brother of Jerome (Jerry) Walsh ’56, uncle of Daniel Walsh ’83, and extended family to David Morris ’84 and James Pustelniak ’86. Joseph passed away January 17, 2019 in Land O’Lakes, Florida at the age of 85. Please pray for Joseph and the Walsh family. | More on the life of Joseph P. Walsh Jr. Please pray for the repose of the soul of Chris Lynn, mother of Keiran Lynn ’84 and Raymond Lynn ’86, and cousin of Br. John Dunning.